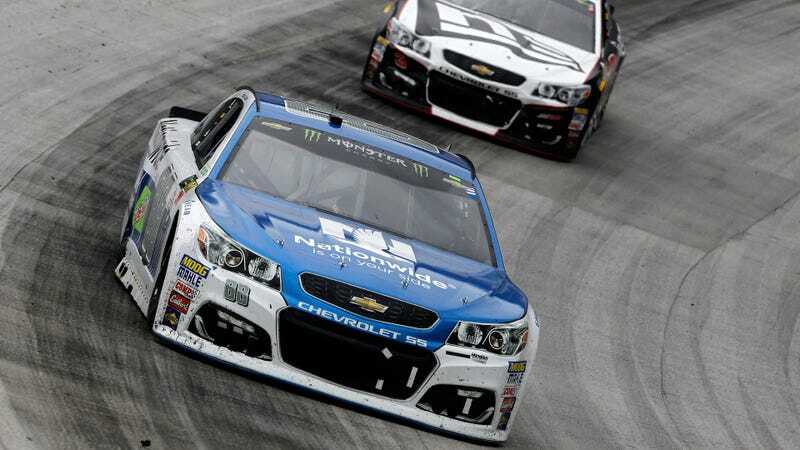 The Monster Energy NASCAR Cup Series and Xfinity Series are at Richmond International Raceway in Virginia this weekend, and this is officially the start of Dale Earnhardt Jr.’s retirement tour. What a sad, bleak, hopeless world we will live in when NASCAR’s favorite driver calls it quits at the end of this year. But good for him, really. He should do the things that are best for his health, even if the rest of us are in tears about it all. The other stock cars you can catch on television this weekend are those of the ARCA Racing Series, and the race will be broadcast Saturday night from the quite entertaining Fairgrounds Speedway Nashville. The open-wheel coverage this weekend will consist of both the Verizon IndyCar Series and Formula One. IndyCar, which recently and very unfortunately gave into the robot overlords, will be at Phoenix International Raceway while F1 will run the Russian Grand Prix. There will also be NHRA and Monster Energy Supercross on live this weekend, which should round out your racing fix decently well. The Red Bull Global Rallycross race from Memphis, Tennessee this weekend will be on a single-day delay on Sunday, so it’s listed in the delayed column if you’re looking for it. You can also catch some FIA World Rally Championship coverage from Argentina via online streams on both Saturday and Sunday, and Formula Drift coverage via live stream on Saturday. Delayed coverage includes the Lucas Oil Late Model Dirt Series, FIA World Rally Championship, previous NHRA events, the Blancpain GT Series Endurance Cup, FIM Motocross and the Lucas Oil Off-Road Racing Series.